To most people - even those in marine propulsion - 97% sounds pretty good. We're not most people. At Louisiana Cat, we expect more. That's why Louisiana Cat is the first Caterpillar Dealership in the Americas to reach all requirements for training and technical sales and support to become a Gold level dealer for the full line of Cat Propulsion equipment. Cat Propulsion optimizes performance through dialogue with our customers. And we go the extra mile, even studying the vessel’s design, the waters it travels, the job at hand – anything and everything that effects the hydrodynamics. Using all our technical expertise, we’re not finished until our customers are completely satisfied and our solution is as optimized and reliable as possible. A propulsion system is only as strong and reliable as its weakest link. That’s why Louisiana Cat delivers everything from control systems to propellers and thrusters, ensuring an unbroken chain of performance and uptime. In keeping with our full commitment to Cat Propulsion equipment, Louisiana Cat has opened a dedicated parts and service dock-side facility on the Intracoastal Waterway in Houma, Louisiana. Unique demands? We’ll deliver your best solution. Louisiana Cat's engineering staff are experienced experts in their field providing our customers with technical advice and customized computer generated drawings. Whether providing complete development services or support for a project, we have engineering capabilities to meet your needs. Often that means starting from the engine output all the way to the complete propellers. 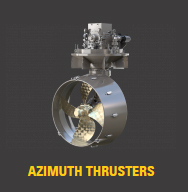 Plus thrusters, gearboxes, shaft alternators and any other items your customized system needs. 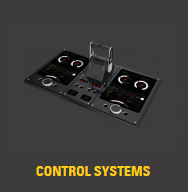 Introducing the all-in-one solution for any marine vessel. We’ve added industry standard propellers, thrusters, and control systems to our full line of Cat® medium- and high-speed engines. Cat propulsion systems give you an optimized engine, generator, and propulsion package with every part covered and supported by Louisiana Cat. 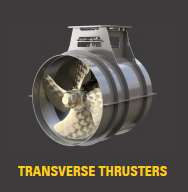 Rugged and Reliable Cat Propulsion Products! 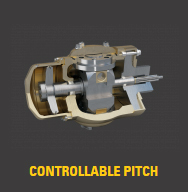 We are one of Caterpillar’s largest and most experienced large bore marine engine dealers. Our highly trained commissioning and field service technicians have significant offshore experience with passports, TWIC cards and safety certifications enabling our customers to receive highly skilled product support services anytime, anywhere you need us to be. Our service facilities and operations are DNV Platinum certified, providing our customers with the highest level of service excellence in the Caterpillar family. As our customer you can reach us locally, or wherever you are. You can depend on us to be there for you.